You can teach Kinect to recognise your face and automatically sign you in to your profile using Kinect ID. Go to Settings, and then select Kinect. 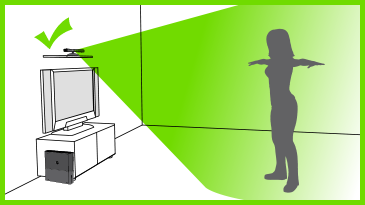 Follow the on-screen instructions to set up your Kinect ID so that Kinect can recognise you. Choose to Update or Remove your Kinect ID. Make sure your console software is up to date. Sign in using an Xbox Live gamertag. If a console update is available, select Yes to update your console software. 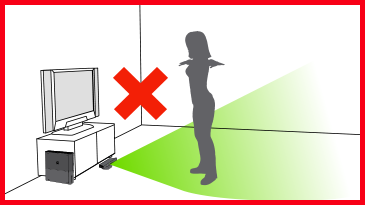 Make sure you have good lighting and that you position the Kinect sensor so it can see your face. Make sure your face is well lit from the front without shadows or backlighting. Don’t hide your features with sunglasses, a hood or a hat. Place your sensor between 2 feet (0.6 m) and 6 feet (1.8 m) off the ground. Centre the sensor above your TV, and face it directly towards you. Stand at least 6 feet (1.8 m) from the sensor. If you change your hairstyle or facial hair, set up your Kinect ID again. Clean the lens on your Kinect sensor. If none of these suggestions work, try setting up your Kinect ID again. Kinect is not signing you into Xbox Live? If you have a pass code or password on your Xbox Live account, you will need to enter your pass code or password using the Xbox Dashboard. Would you like to contact Support regarding the "Automatic sign-in with Kinect" issue you were reading about or a different issue?